15028R 1300w Infrared Halogen patio heater bulbs, are used to heat al fresco dining areas and smoking zones. Due to their short wave infra red radiation they provide instant heat to localised areas. 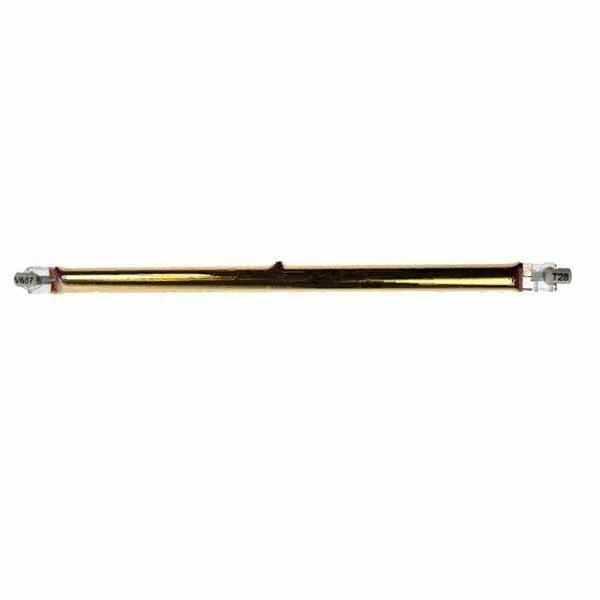 This type of halogen patio heater bulb is recognisable by its gold appearance and push fit R7s connectors. Electric patio heater bulbs are an economical way of heating an area as 85% of the consumed energy is converted into heat.